The average price for this game since released is $12.33. The game first became 50% off on Nov 28, 2014 at Amazon. Lowest historic price was $9.99 on Jul 13, 2016 at Green Man Gaming. The average price for this game since released is $32.78. The game first became 50% off on Dec 15, 2015 at Walmart. Lowest historic price was $12.88 on Dec 15, 2015 at Walmart. Discount on release day! The Amazing Spider-Man 2 is out on most platforms, but if you're looking to pick up for the PS4, Xbox 360, PS3, Wii U, or Nintendo 3DS, you can snag a $10 discount at Amazon. The average price for this game since released is $31.88. The game first became 50% off on Dec 15, 2015 at Walmart. Lowest historic price was $12.88 on Dec 15, 2015 at Walmart. The average price for this deal since released is $16.14. Lowest historic price was $12.88 on Dec 15, 2015 at Walmart. The average price for this game since released is $35.10. The game first became 50% off on Jul 15, 2015 at GameFly. Lowest historic price was $15.99 on Sep 29, 2015 at Best Buy. The average price for this game since released is $36.14. The game first became 50% off on Nov 27, 2014 at Best Buy. Lowest historic price was $14.99 on Nov 25, 2015 at GameFly. Discount on The Amazing Spider-Man 2 and if you're looking to pick up for the PS4 or Xbox One, you can snag a $24 discount at Best Buy. Sick price on The Amazing Spider-Man 2 today at Best Buy. They've slashed $20 off the list price for all available platforms. Next gen consoles fall to $39.99, while the Xbox 360, PS3, and Wii U price is $29.99. Not bad for a month-old release. Deal is today only. Amazing Spider-Man 2 launches tomorrow on essentially all modern gaming platforms. 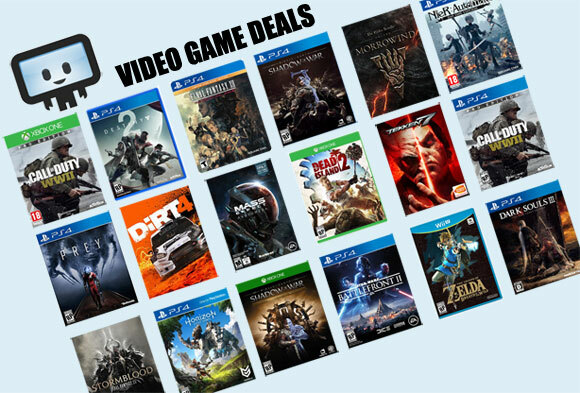 Amazon has a rare $10 off console pre-order discount for the PS4, Xbox 360, Nintendo 3DS, and Wii U.
Amazing Spider-Man 2 on the Xbox One & PS4 next gen consoles releases in a little over two weeks on Tuesday, April 29th. If you absolutely know you're going to buy the game, NewEgg is offering it with a bonus $5 gift card. The average price for this game since released is $15.37. The game first became 50% off on Jan 28, 2013 at GameFly. Lowest historic price was $8.49 on Jan 30, 2015 at NewEgg.